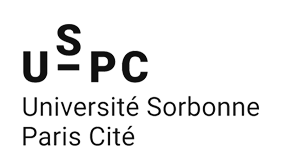 In 2014 and 2015, USPC recruited it’s best foreign students from around the world to support the scientific projects carried out by USPC’s teams, notably with regard to the international dimension of such projects. Twenty PhD students in 2014 and 28 in 2015 were therefore recruited following a competitive exam and a panel interview. The candidates were awarded a three-year contract. In 2015, thanks to the support of the CROUS de Paris, housing was awarded to those who requested it in the Résidence du Chevaleret. Laughter in interaction. Functions in adults dialogue and development in TD and ASD children.